September 19, 2017 May 30, 2018 jhgraham	Postwar	Tags: gas stations, Wilshire Blvd. In 1946 it was good to be the world’s largest something or other. 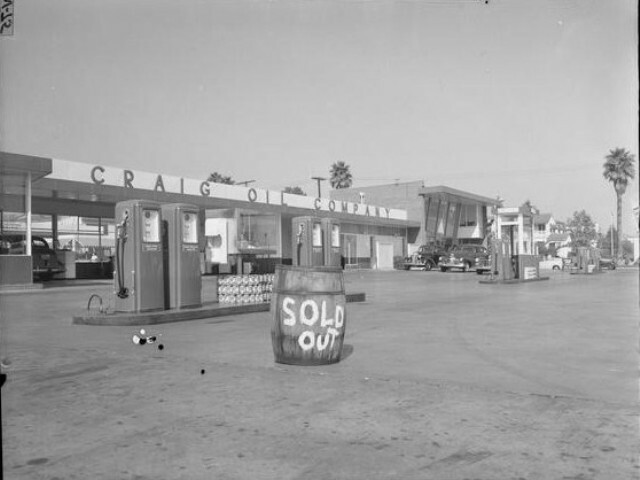 Craig Oil Company’s 24-pump super service gasoline station opened at the busy intersection of Wilshire Boulevard and Highland Avenue on May 29, 1946. Taking up an entire block, it claimed to be the largest in the world, and who knows- it might even have been true. Los Angeles, happy to be able to drive again without rationing restrictions, didn’t question it. The lucky first customers received a free pack of cigarettes with every 7 gallons purchased. 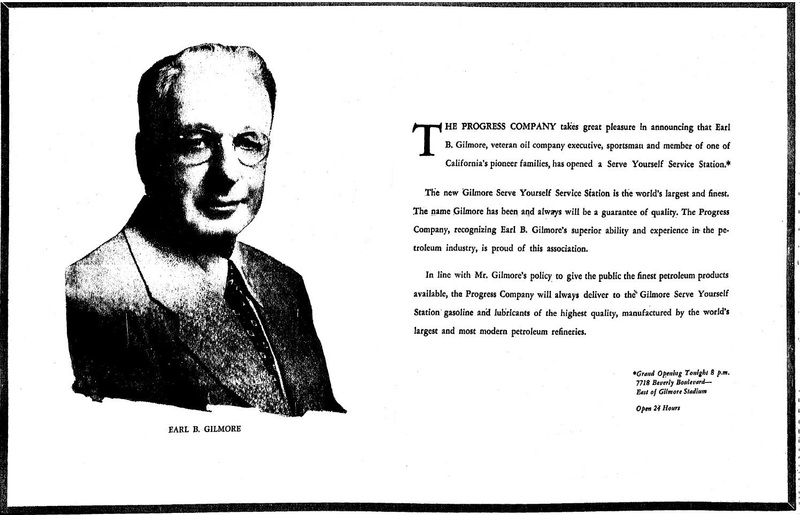 In addition, the station gave away coupons with every 5 gallons worth 10 cents toward the purchase of more gas, oil, accessories or other merchandise (on display inside the station). What a deal! 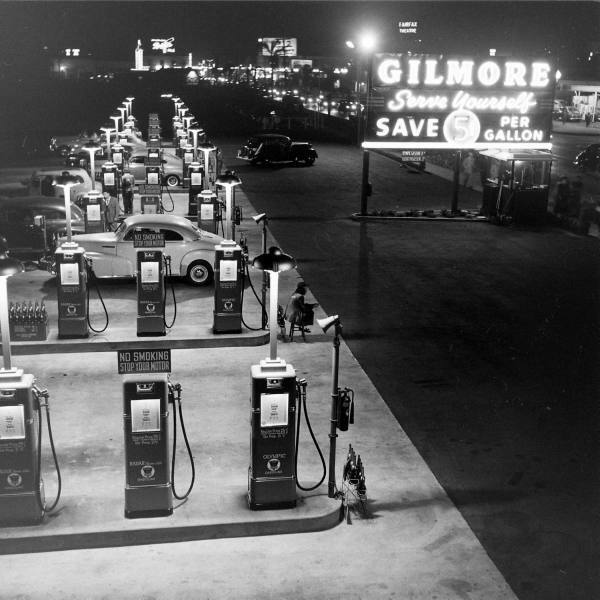 The Gilmore Serve Yourself Gas Station, from Life magazine, which called it “California’s newest contribution to the drive-in way of life” in its November 22, 1948 issue. Top image: the station pictured in August 1948 during a CIO Oil Worker’s Union strike. USC. It later operated as a Golden Eagle.